This Sunday, we will be studying the story of Mary meeting the angel Gabriel. He brings the extraordinary news to this young girl (probably between 13 and 15 years old) that she is going to conceive a child, as a virgin, by the Holy Spirit. If that isn't enough, the astonishing nature of the news continues to build, when seen as a fulfillment of a centuries-old prophecy from another herald of the LORD, Isaiah. This is exactly Luke's (and God's) objective. 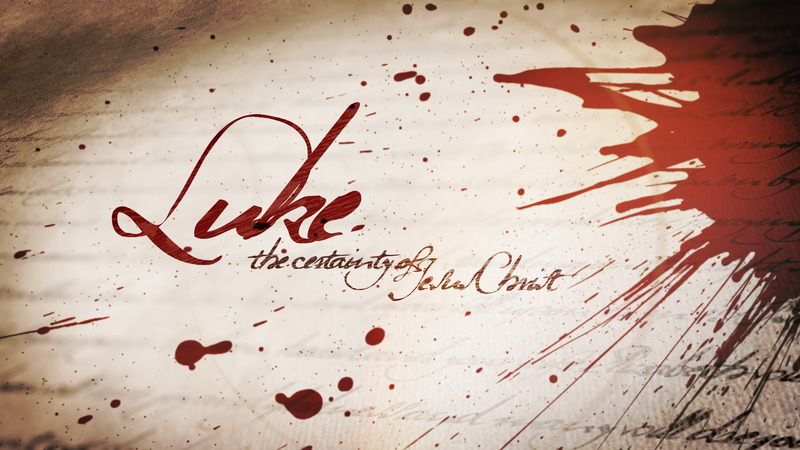 He wants us to clearly see all that is being fulfilled in this story (Luke 1:1). Listen to the old prophet, and rejoice at the good news of the coming of the Son of God. Then Isaiah said, “Listen well, you royal family of David! Isn’t it enough to exhaust human patience? Must you exhaust the patience of my God as well? All right then, the Lord himself will give you the sign. Look! The virgin will conceive a child! She will give birth to a son and will call him Immanuel (which means ‘God is with us’). The people who walk in darkness will see a great light. For those who live in a land of deep darkness, a light will shine. You will enlarge the nation of Israel, and its people will rejoice. They will rejoice before you as people rejoice at the harvest and like warriors dividing the plunder. For you will break the yoke of their slavery and lift the heavy burden from their shoulders. You will break the oppressor’s rod, just as you did when you destroyed the army of Midian. The boots of the warrior and the uniforms bloodstained by war will all be burned. They will be fuel for the fire. For a child is born to us, a son is given to us. The government will rest on his shoulders. And he will be called: Wonderful Counselor, Mighty God, Everlasting Father, Prince of Peace. His government and its peace will never end. He will rule with fairness and justice from the throne of his ancestor David for all eternity. The passionate commitment of the LORD of Heaven’s Armies will make this happen!